ItemLF.00552 - Harbour scene showing the ship the MS "Evangelistria"
ItemLF.00553 - Trailers for Atco Industries Ltd., Calgary, being moved onto MS "American Oriole"
Photograph depicts "Duffield" with 23 ft high timber deck load. 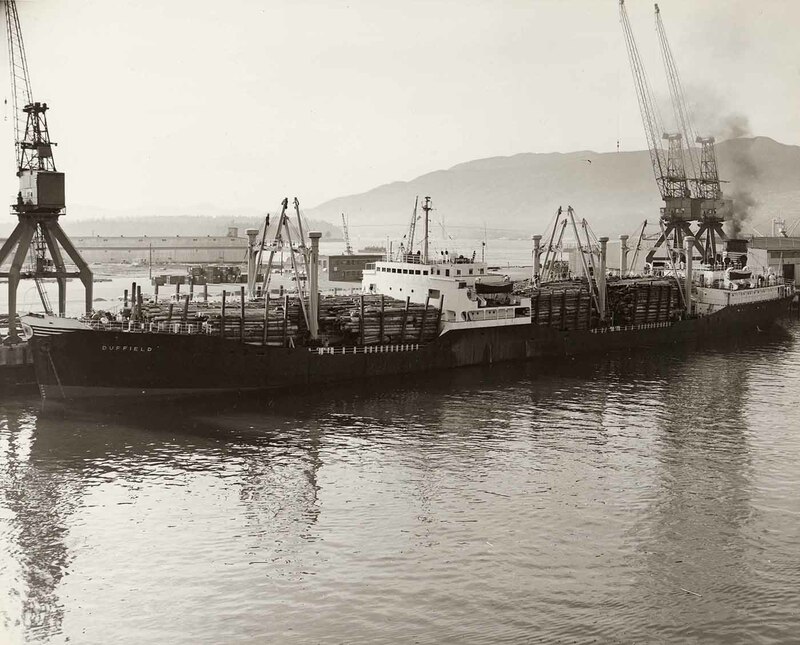 Ship's name "DUFFIELD" visible, with large timber load docked beside three rail mounted gantry cranes; dockside warehouse and North Shore mountains in background. This photograph is associated with Empire Stevedoring Co. Ltd.